Paratext is honored to announce that Reference Universe has been chosen as one of the CHOICEOutstanding Academic Titles of 2012. Reference Universe is one of the select few titles chosen out of the over 7,000 that were reviewed by CHOICE in 2011 to be recognized for their excellence in scholarship and the significance of their contribution to the field. 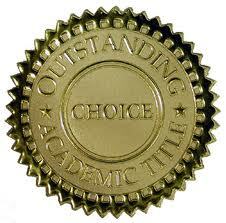 According to CHOICE, the editors apply several criteria to reviewed titles including: overall excellence in presentation and scholarship; importance relative to other literature in the field; distinction as a first treatment of a given subject in book or electronic form; originality or uniqueness of treatment; value to undergraduate students; and, importance in building undergraduate library collections.